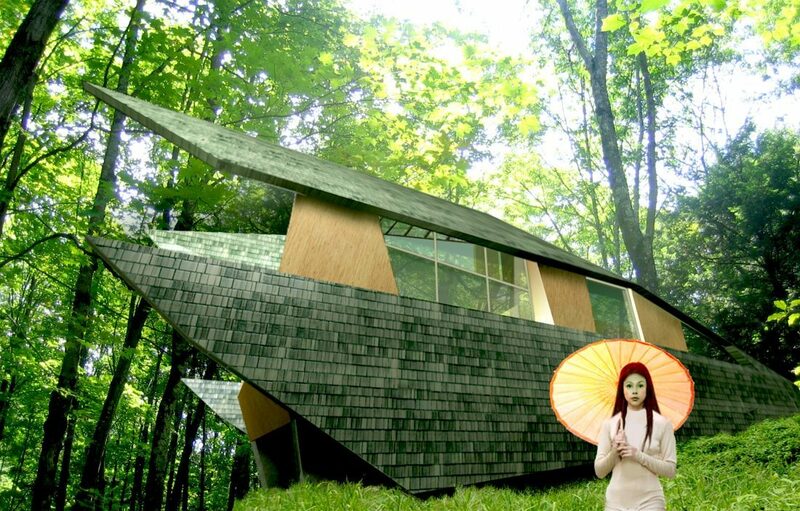 PROJECT / 2007 AMERICAN ARCHITECTURE AWARD / Seed House is a conceptual design for a 1400 square foot country home set in the woods in upstate New York commissioned by a NYC art collector. The shape of the house was conceived as an organic form, deeply integrated with the natural world, and was inspired by the seedpod that opens up and offers new life to the environment that surrounds it. 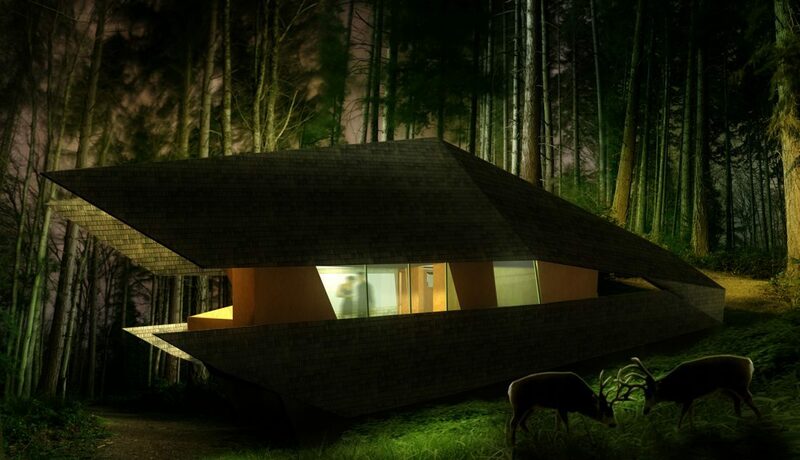 Seed House’s outer shell opens up to nature and reveals its vibrant inner core, a hub of life and creative activity. The house is constructed on a wooden frame covered with marine plywood and an outer skin of natural cedar shingles and is designed to endure weather and blend with the countryside. Slits on the roof of the house and along the sides of its exterior give the shell the appearance of having burst, thus inviting the life into Seed House’s inner spaces, creating dialogue with the natural landscape.